I am Sophie (52 years old) and Daniel (63) who is my boyfriend. I am a flight attendant and Daniel has retired young. He doesn't speak English, (it means that you have to speak basic French or Spanish) but he is a good teacher of construction. It's his third restoration. We have 2 dogs and 1 cat. If you don't mind some physical work and getting your hands dirty, you can learn new skills. Looking for energetic all-round handy people. We are restoring a French manor house that was built in 1820. The manor has been stood empty and neglected for twenty years. We decided to buy it in December 2016. Inside our house all the walls are made from bricks of mud. We fell in love with this gorgeous building and wanted to be close to nature, enjoy the peace and tranquility of the countryside and live a new life. We are surrounded by orchards and our neighbors are so kind to us, every week they bring us eggs, vegetables or fruits from their produce. We have a wonderful relationship with them. We are happy to take couples, singles or friends. We value everyone that comes to help. We prefer that people stay for at least 2 weeks. - Painting windows shutters and the main door. 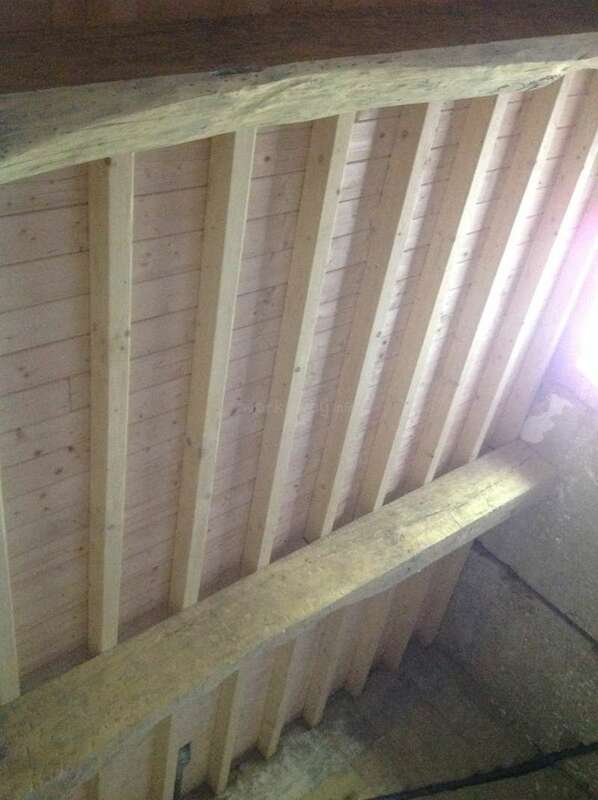 - Pointing internal walls with mud and straw plaster and then a lime coating with pigment. - Our compost and garden are underway! - Disassemble and replace the old and damaged wooden floor. - Carpentry, changing rafters, fitting floor frames and doors for bedrooms. The restoration work is being sympathetically carried out with traditional materials such as lime putty, mud plaster with straw which Daniel will be happy to teach you how to use. We are French natives and we are used to travelling abroad. We are open minded. Sharing moments together is also an important part of the experience. We know how to receive guests and we love about our culture and that of others. Looking for someone or a couple to help us with the restoration of our home. Children are not allowed because of the type of work, it could be dangerous for them. Most of the hard work has been done, the new roof has been fitted as well as windows and main doors. If you don't mind some physical work and getting your hands dirty, you can learn new skills now! Looking for energetic all round handy people. If you enjoy the outdoors, gardening and / or have general building or DIY skills it would be helpful. We would like ~25-hours of help a week Monday to Friday, typically starting at 9:30 am, your afternoons will be for you to explore and enjoy France. You will have your own comfortable private room for the duration of your stay. One bathroom has been finished , there is a hot shower and flush toilet, a first for this house that was built in 1820. You will be offered three meals a day, a typical simple light French breakfast offered between 9am and 9:30am. A hot or cold lunch provided between noon and 1pm and a main evening meal with wine or beer will be served between 19:00 and 20:00. Daniel and I cook everyday with fresh and local produce, and we value time spent sharing meals..
We are also happy for you to tag along on excursions on Saturdays and Sundays and you are welcome to join us in our activities. Also, if you are without transport, we are happy to drive you to the nearest village which is three miles (5Km) from the house where you will find bars, restaurants and all the shops you could possibly need. There are also bicycles at the house that you can borrow. We have some land, so you are sure to find a private spot to relax, to read, enjoy a glass of wine or just work on your tan. You can also go horse riding. There are many beautiful villages to visit nearby in your free time, and a great cafe with internet access three miles (5km) from the house. If you wish to arrive by flight, Toulouse or Agen airports are the closest. There are many train stations nearby, which is another possibility if you are not driving, Montauban, Castelsarrasin or Moissac being the best option. You can also use BlaBlaCar (car sharing). 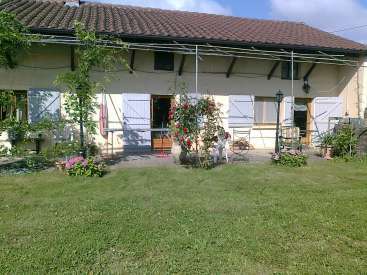 The house is located 5km from Lafrançaise, the nearest village. As well as learning traditional building skills, we will be happy to take you to visit the city of Montauban and Moissac, take you to medieval towns and villages, where you can discover how the French used to live. Here it is life in the countryside, a life where neighbours take the time to talk to each other. 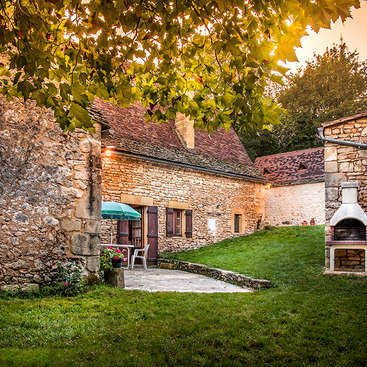 You will get to taste traditional and seasonal French food and enjoy local French wine. In France everybody loves going to the market, so once a week (weather permitting), we visit a farmers market, where you will learn about produce and how to cook them. Wonderful! I was part of Sophie's and Daniel's story for two weeks in August 2018. Lovely people, interesting debates, laughs, delicious food, nice games, long talks, discovering close villages, are just few things I experienced with them, also with many of their friends, and other workawayers. Make no mistake. If you want to be part of this… read more story you will work, but at the end of the day you will feel sooooooo satisfied of what was accomplished, learned and shared. Nous avons eu la chance d'accueillir Jesus qui a passé 15 jours avec nous. C'est une personne volontaire, il s'est intégré parfaitement au groupe existant. Il ne compte pas ses heures quand le chantier le nécessite. Il vous fera partager sa culture avec beaucoup d'humour et ses connaissances en géo-politique. Sa conversation est riche de part sa… read more maturité. Il est curieux et avide de connaissances en ce qui concerne notre culture et notre langue. Nous ne pouvons que vous le recommander. Bonne chance Jesus pour tes projets ! À très bientôt? Merci confinement Théo pour ton avis. Merci infiniment pour avoir été aussi honnête. Théo , est un jeune homme mature et intelligent. Il est arrivé sur le chantier au moment où nous étions au stade des peintures et des enduits muraux. Nous avions Carlos comme workaway, Il a su parfaitement s'adapter aux nouvelles situations avec des étrangers. Il… read more s'est également approprié l'approche de chantier et notamment des enduits. Il est patient et bien évidemment il est un véritable anglais avec son humour so British. Que vous dire? Prenez-en bien soin si vous le recevez. Oui Théo nous serons en contact et nous espérons te recevoir comme invité. Mon séjour avec Sophie et Daniel était absolument parfait, je suis triste d’être parti mais je resterai certainement en contact. Je suis très reconnaissant pour tout ce qu'ils ont fait pour moi. Ce fut une expérience merveilleuse que je peux vous recommander très vivement. Ils font tout ce qu'ils peuvent pour vous faire sentir comme si vous… read more faisiez partie d'une famille. J'ai beaucoup appris à travailler là-bas et je me sens très chanceux d'avoir participé au projet. Bonne chance au reste de la maison! As my first workaway its been a wonderful experience and I have been totally lucky. Daniel and Sophie treated me as part of the family straight away. 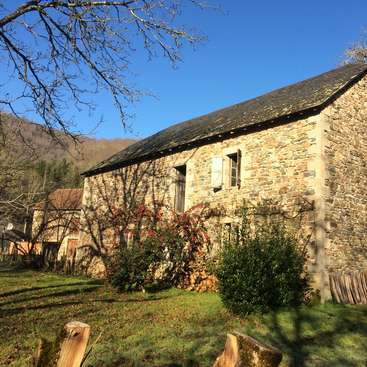 The idea of ​​coming here was to live the real French life, far from the big cities, learn french and also learn new skills as a handyman and It was worth it. This project is incredible, they are… read more complete artists for everything they have done with that place. Some of the work that I did was painting, level the ground for the floor frame, wall rendering, lime coating and much more. Daniel is an amazing teacher, patient and passionate, you can feel how excited he is when he talks about the property and what he has done so far. Sophie always willing for a good conversation, lots of laughs, simply a lovely woman and she is so good at cooking. They have friends who come all the time, lovely people that I will always remember. I feel so glad have been part of this project. In love of this place and the calm of the countryside. Highly recommended. See you soon Daniel & Sophie. Carlos a passé 1 mois avec nous. Il s’est rapidement intégré à notre vie de famille. Carlos a été un facilitateur pour nôtre workaway suivant comme il a été pour Brandt. Il a toujours été impliqué dans l’évolution des travaux de la maison. Il a toujours été présent pour Daniel et il n’a jamais lâché prise quand il… read more s’agissait de travailler. Il est une aide précieuse. Si vous devez le recevoir prenez en bien soin. Carlos tu nous manques. Reviens nous vite. Daniel and Sophie have a unique vision for this grand project of restoration. I brought a genuine desire to work and learn - Daniel, a great teacher, showed me the ropes and we worked together each day. It is a wonderful feeling to see the work gradually become the finished product. I’m very grateful for the opportunity to move the project… read more forward. In terms of accommodation, everything is exactly as described and Sophie and Daniel are very welcoming. You’ll live a French lifestyle and speak French (or Spanish!). Bring your good attitude because they’ve got one too! The countryside is beautiful and peaceful. Moissac is a short ways away. My fondest memories surround the work and food and drink and stories of life. A memorable and impactful two weeks of good work and a love of life. It was wonderful. I highly, highly recommend this project and especially Sophie and Daniel! Shine on you two crazy diamonds! Brandt est venu quinze jours nous aider. Pour son premier workaway il a eu une capacité d'adaptation parfaite. Il s'implique dans la vie de famille. Il est capable d'avoir des conversations soutenues avec réflexion en ce qui concernent divers sujets philosophiques. Il est volontaire impliqué autant dans les travaux que dans les tâches journalières… read more de la maison. Nous le recommandons vivement. Bonne chance Brandt et n'oublies-pas de nous donner de tes nouvelles. Je suis reste avec Daniel et Sophie pour juste plus que deux semaines. C'etait une experience incroyable. Le travail etait très intéressant, varie et agreable. Pour moi la chose qui définit cette workaway est le fait que nous travaillons ensemble. Daniel est pas le chef, en fait nous étions une equipe. Le travail principale pour moi etait sable et… read more peindre les volets. C'etait une boulot tres satisfaisant. Sophie et Daniel étaient les meilleurs hôtes. Ils ont une bonne philosophie du partage. Nous avons mange la bonne nourriture francais (c'etait vraiment delicieux) ensemble et partage beacoup de bonne conversations. Je recommanderais leur pour tout le monde! J'espere je vais revenir bientot parce que ils m'ont fait sentir très bienvenu. A la prochaine Sophie et Daniel! Nous avons eu la chance de recevoir Cornelius 15 jours. Je dois avouer que c'est avec un peu de tristesse que nous l'avons vu partir. Nous ne pouvons que vous le recommander. Ce jeune homme a un esprit incroyablement mature. Il est curieux et il s'est totalement impliqué dans notre vie de famille et notre projet de rénovation. Il est sérieux, il… read more est autonome et volontaire. Il aime travailler et ne compte pas ses heures et son énergie lorsque c'est nécessaire. Vous pouvez définitivement lui faire confiance. À très bientôt Cornelius ! I feel very lucky to have been made a part of Sophie and Daniel's lovely family (themselves and their home, dogs, cat, friends and neighbours) and to have contributed to their inspiring project. The work I helped them with was varied, I didn't do the same thing for more than 2/3 days; painting, plastering, shredding wood, clearing the garden,… read more making mud walls, polishing/beeswaxing these walls... Daniel teaches you how to do everything, he is very knowledgeable in renovation and trusted in our capabilities too (despite me having no previous experience) and it was fascinating to learn about all the ecological materials derived from the earth. They are two generous, caring, interesting people with a fabulous vision for their beautiful house, a love for debating all manner of subjects, lots of time for their friends and neighbours and plenty of incredibly delicious fresh food - from local markets and produce, Sophie is an admirably conscious consumer, as well as the first tomatoes from their garden! And wine of course ! 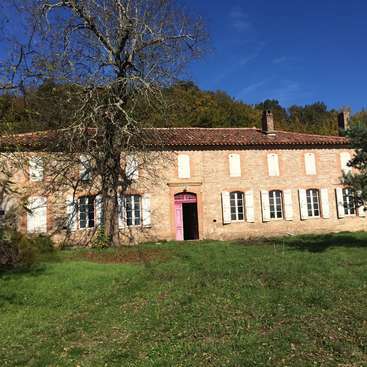 I am extremely grateful for my time here, I would certainly recommend you contact them if you would like something that ressembles an authentically French countryside retreat (with a bit of hard work on the side of course). Elvie a passé deux semaines chez nous. Elle souhaitait améliorer son français afin qu'il soit plus fluide ainsi que nous aider dans notre projet. Nous l'avons adopté. Cette jeune femme est curieuse et à vraiment envie d'apprendre des techniques alternatives de construction . Elle est à la recherche d'une vie plus proche des saisons et de la… read more nature. Elle est d'une parfaite éducation, elle s'implique dans une vie de famille tout en sachant être discrète. Elle aime débattre et avoir des conversations soutenues en ce qui concerne l'avenir politique de notre monde. À chaque proposition elle est enthousiaste "cooool " est son cri de ralliement. Nous vous recommandons vivement Elvie, cela a été pour nous une véritable et belle rencontre. Nous te souhaitons bonne chance Elvie et espérons te recevoir à nouveau. Passiba? Daniel et Sophie ont été d'excellents hôtes. On ressent tout de suite que le but du workaway est avant tout le partage et l'apprentissage. Tout est fait pour qu'on se sente "comme à la maison" dès le début. Il y a toujours des choses à faire, et Daniel est là pour nous transmettre ce qu'il sait, quitte à faire des détours dans le programme du… read more chantier. Le cadre est super, les chiennes sont très attachantes, les villages environnants charmants... Bref je conseille totalement cette expérience à tout workawayer ayant envie d'apprendre ! Ne vous fiez pas pas au jeune âge de timothé, il est un jeune homme mature et fiable. Il a passé 15 jours avec nous et non seulement il s'est réellement impliqué dans notre projet mais il n'a pas hésité à proposer et suggèrer des tâches journalière. Il sait parfaitement s'impliquer, anticiper et avoir une vision globale de la situation lors d'un… read more chantier. Il aide aux tâches quotidienne d'une maisonnée et est d'un esprit curieux. Bref une perle rare. Donne - nous de tes nouvelles timothé, tu seras toujours le bienvenu chez nous ! Il s’est impliqué pour notre projet et dans notre vie de famille. C’est une personne avec du savoir vivre et d’une nature discrète. Nous avons vraiment apprécié son aide et son implication. Un grand merci François. N’hésite pas à revenir nous voir pour voir la progression du chantier!!!! Emily and I stayed with Sophie and Daniel in Nov/Dec 17 and wow, what an incredible experience! Our room was spacious and the bed was very comfortable. Sophie and Daniel are a fun couple and made us feel at home. They cooked excellent meals and offered a delightful traditional French experience. The distance to nearby towns is okay if you have a… read more car or bike. The work was as described on their page, renovating a beautiful old house with ecological materials. Some work was easy, some was physically demanding. But we are both happy to have learnt a lot of new skills, and would love to return in the future to see how the house has advanced. I think it's important to understand French or Spanish, because the work can be quite delicate sometimes. We would recommend this workaway for anyone who wants to know what it’s like to live in a peaceful, scenic area and meet two very lovely people. Thank you Sophie and Daniel! Philip et Emily sont arrivés en novembre pour un mois. C'est un couple adorable et bienveillant. Phillip apprend le Français, il est persévérant et impliqué dans notre langue. C'est une personne discrète, il est attentif à son entourage et souhaite vraiment faire plaisir. Il sait prendre des décisions. Nous avons vraiment apprécié son séjour… read more parmi nous. Super, super, super! 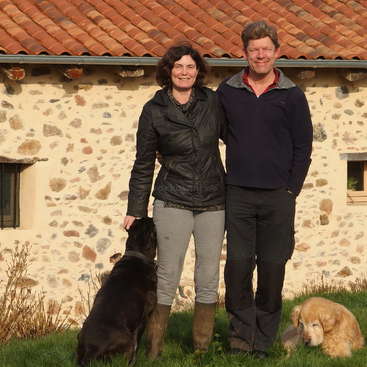 Normally I am not the type to use any superlatives but the hospitaly of Sophie and Daniel just deserves nothing else... I was directly welcomed into their house and felt immediately part of their family. I joined on numerous trips, was welcome at diners with friends and had a lot of laughs with both of them! Coussiba, hahah?… read more Besides is it the perfect place to learn French and get to know the French culture... Trust me: do not hesitate, contact them and enjoy! I'll be back whenever possible! Sophie et Daniel, merci pour tout! Thomas a été le premier à nous contacter pour faire cette aventure avec nous. Il est arrivé après Max et il est resté deux semaines. C'est une personne discrète et pleine d'attention. Il est efficace et précis. Il s'est comporté comme un membre de notre famille. Il était réellement concerné par notre projet. Son but premier était d'améliorer… read more son français en vivant avec nous, non seulement il l'a atteint mais il s'est impliqué dans notre façon de vivre. Nous te souhaitons bonne chance Thomas pour tes projets et espérons avoir de tes nouvelles. N'hésite pas à revenir pour constater que nous avançons dans la rénovation de notre maison! Bernardo à passé un mois avec nous. Il a été une réelle aide pour Daniel. Il sait tout faire et il est parfaitement autonome et est capable de prendre une décision. Il s'est rapidement intégré à notre façon de vivre. C'est un homme exemplaire tant au niveau comportement que social. Il est devenu un ami. Nous avons été triste de voir partir. Daniel y Sophie, Sophie y Daniel. Dos personas excelentes. Desde el primer momento me han tratado como a uno más de la familia, preocupándose por mi bienestar. La comida ha sido copiosa y de calidad, mi alojamiento, una habitación fantástica. He sentido su calidad personal en ellos y en el trato que tienen con sus vecinos y amigos, en un entorno… read more idílico de la campiña francesa donde se respira paz y tranquilidad , y con muchas posibilidades de ver hermosos paisajes, Pueblos increibles y cerca de Toulouse, una bella ciudad. Daniel es un trabajador con unas cualidades y una inteligencia de admirar, tiene soluciones para cualquier problema que pueda surgir, y una capacidad de trabajo envidiable, A su lado he aprendido técnicas de construcción tradicionales al mismo tiempo que ecológicas, pero sobre todo destacaría su carácter tolerante y abierto a cualquier sugerencia, dándome libertad total de acción. Daniel es un amigo entrañable al que le estoy muy agradecido por como me ha acogido en su entorno y por como me ha hecho sentir. Sophie es encantadora, aunque por su trabajo esta algunos días ausente, lo suple con creces con su carácter alegre, una atención exquisita, buena conversación y la atención de una madre, joven, por supuesto. En resumen, para mi ha sido la primera experiencia como voluntario en workaway, pero me voy enamorado de mis anfitriones y del lugar. Me voy de aquí con gratos recuerdos y con ganas de repetir la experiencia. Muchas gracias Daniel y Sophie, Sophie y daniel. Daniel and Sophie, Sophie and Daniel. Two excellent people. From the first moment I have been treated like one of the family, worrying about my well-being. The food has been copious and quality, my accomodation, a fantastic room. Daniel is a worker with no qualities and an intelligence to admire, he has solutions to any problem that may arise, and an enviable work capacity, his side learned traditional construction techniques as well as ecological, but above all destabilize its tolerant character and open to any suggestion, giving me total freedom of action. Daniel is a dear friend and I am very grateful for how he has welcomed me in his environment and how he has made me feel. Sophie is charming, although by her work she is absent a few days, she is more than happy with her cheerful nature, exquisite attention, good conversation and the attention of a young mother, of course. In short, for me it has been my first experience as a volunteer on workaway, but I am in love with my hosts and the place. I leave here with pleasant memories and wanting to repeat the experience. Living with Danielle and Sophie was an experience I will never forget. It was a part of my french dream coming true. They are an extremely friendly, hostile and intelligent couple and you don't doubt for a single second that they have put a lot of heart and soul into making your stay a true cultural exchange that goes far beyond hosting and… read more working. 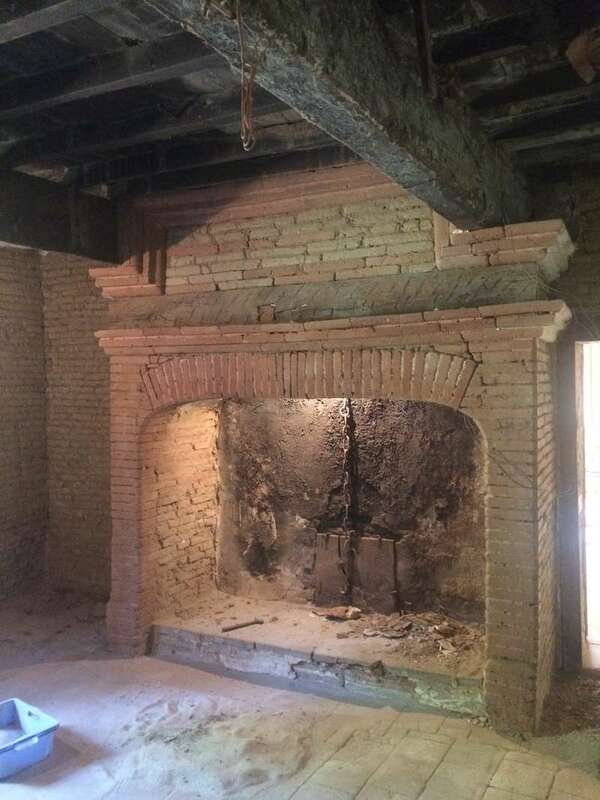 Danielle is an exciting man with a lot of knowledge about life as well as a very skilled worker and you can learn a lot from him and his stories while working on the restauration of there incredible old and charming house. Sophie is a lady with a great and charming mood who always spreads a good vibe around her and makes you feel comfortable. She is always up for a good laugh. 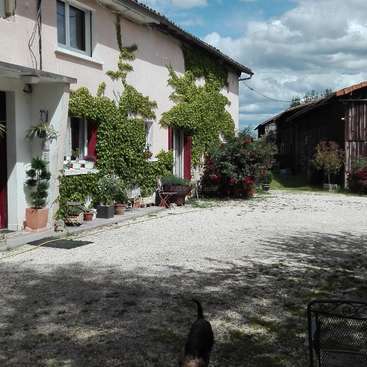 They have taught me a lot about french culture just as they have invited me to meet sweet friends and neighbours and get under The skin of the french countryside with all its fruitplantations, sunflower fields and the idyllic lifestyle in the small villages. I have been eating a lot of great food and I have had a lot of interesting conversations in a fantastic setting and in the company of people who have become friends. I will definitely come back and visit. Max et son amie Ida sont restés une semaine chez nous. C'était nos premiers Workaway et franchement l'expérience a été formidable. Max est un jeune homme curieux et il a été une réelle aide pour nous. Il est vif et comprend rapidement les tâches demandées. Il est intelligent et sensible ce qui nous à permis d'avoir une réelle relation dans le… read more partage. Merci Max, tu reviens quand tu veux.